Now more than ever before students from all walks of life and of all ages are busy juggling family, full or part-time work, and other commitments while attempting to earn a degree or further their education. At the same time, tuition prices are rising across the board, making it harder and harder for the average, working American to attend college or university. For these reasons, students today are looking for an alternative, and finding it in online accredited degree awarding programs. As the demand increases, so does the number of fully online degrees offered by accredited universities across the nation and earning a degree fully online today is considered an respected avenue for completing college. Degrees online can be earned from the associate to doctorate levels, and most major colleges and universities offer courses and degrees fully, or at least partially, online. 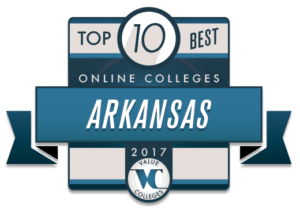 In this Value Colleges Top 10 list you’ll find colleges all located in the state of Arkansas, and each school offering degrees that students can obtain 100% online. The list also includes options for associate’s, bachelor’s, master’s, doctorate’s or continuing education degrees. Each institution meets Value Colleges Best Value credentials with a solid ROI and institutional accreditation, meaning the programs are affordable and oftentimes, career focused. Attending school online is often more affordable than attending on-campus, so please note that the annual tuition prices listed below reflect the national IPEDs data. You can visit each individual school to calculate your online costs based on your program and number of enrolled courses. The University of Arkansas was founded in 1871 and the Global Campus, an extension of the flagship school, aims to distribute the same rigorous academics found on the university’s campus to students around the globe by using a virtual, accessible platform. Faculty are specialized in their fields, and the Global School is fully accredited to award undergraduate and graduate degrees. 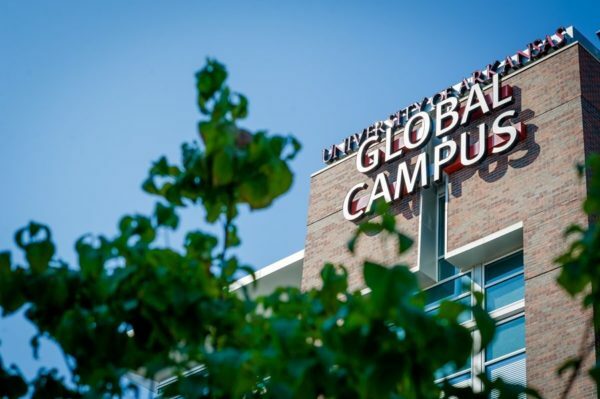 The University of Arkansas Global Campus online offers a number of fully and partially online degree programs in the bachelor, master, and doctoral levels, as well as certifications and licenses for working professionals. All programs are designed by the same faculty that runs each academic department on the traditional campus, meaning the online learning experience mirrors that of the traditional campus when it comes to rigorous academics, qualified teaching, and top-tier opportunities. Founded in 1909 Arkansas State University is dedicated to enriching the lives of their students in order to produce regional and state leaders. The institution is accredited to award degrees through the doctoral level and offers degrees in over 150 areas of study! Students from around the world make up Arkansas State’s diverse student body and all students benefit from curricula that combines classroom study with real-world application, local and regional service opportunities, and research experiences. Arkansas State University online awards degrees fully online in the undergraduate and graduate levels. Qualified faculty lead classes online and trained teaching assistants are available to provide one-on-one attention to students enrolled online. Arkansas State online prides itself in offering an affordable avenue for obtaining a degree in an accessible and flexible manner, a great option for working adults or professionals who wish to further their education, or for traditional college aged students seeking an online or hybrid experience. The University of Arkansas at Little Rock is a research university offering a metropolitan background, unparalleled academics, and a plethora of internship opportunities for students both on campus and online through the virtual learning platform. The university is best known for its Nursing, Applied Design, and Criminal Justice schools, that attract students from around the world annually. The university is proud to be a driving force for the Little Rock community, producing qualified local professionals, and the institution is a major contributor to innovative research across the globe. The online school at the University of Arkansas at Little Rock not only offers degree programs 100% online, but also minor programs and certifications. The online school offers some unique programs too, such as the M.Ed. in Gifted, Creative and Talented Education K-12 or their B.A. in Professional and Technical Writing. There are undergraduate and graduate degrees to choose from and some programs are also available in an accelerated format. Southern Arkansas State University is proud to be the fasted growing university in the state of Arkansas while remaining the most affordable four-year university in the state as well. The university prides itself in having a student centered learning environment, both online and on campus. Additionally students benefit from rigorous academics paired with real-world, hands-on experiences through research opportunities, internships, and career training. 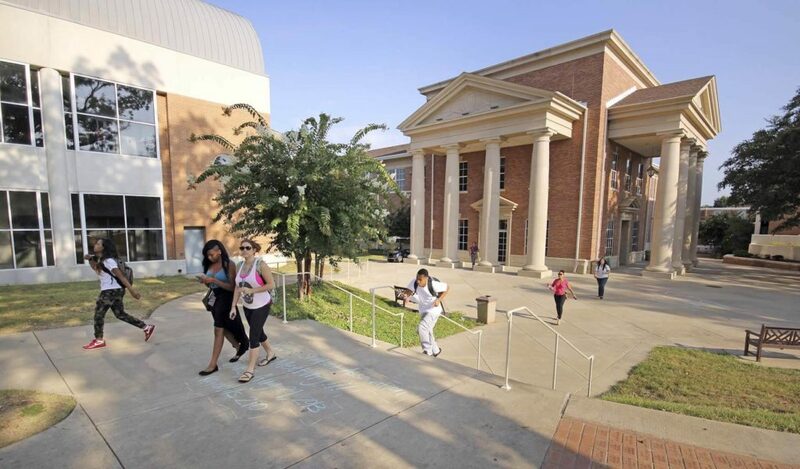 The University of Central Arkansas is a nationally recognized public institution, with undergraduate and graduate students from around the world attending school on campus or online. Located just north of Little Rock, the school places focus on providing local, national, and global engagement opportunities for all students, in addition to their classroom academics. Students learn how to be leaders, innovators, and committed to their communities by the time they complete school at UCA. 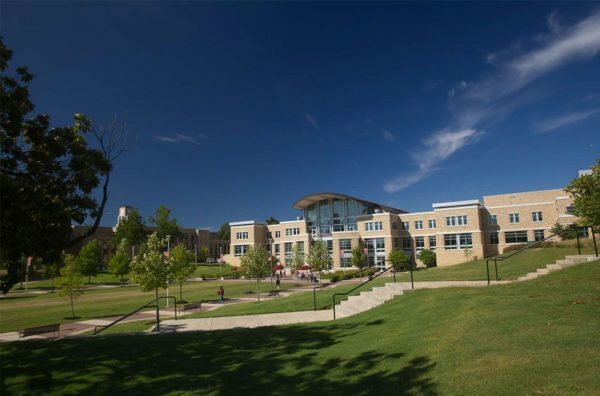 With a unique dedication to diversity, the school takes Affirmative Action while working closely with the Diversity Advisory Committee to ensure the students and faculty make up a diverse population. Affordability and flexibility are at the core when it comes to virtual learning at the online school at the University of Central Arkansas. The programs are primarily focused on serving working adults or students who must juggle school with other commitments like family or health barriers and things like 24/7 access, affordable tuition rates, and individualized program coordinators make enrolling in and completing a degree program fully online a reality. There are over twenty fully online programs to choose from and students from around the world are welcome to enroll. 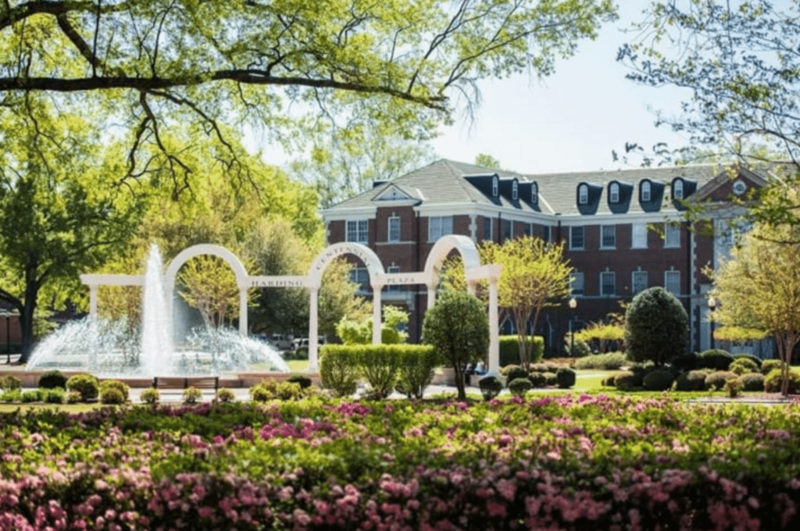 Arkansas Tech University, often referred to as Arkansas Tech, provides “opportunities for intellectual development and civic engagement” through their student-centered academic process and efforts to simultaneously provide real-world working experiences. In addition to serving traditional colleges students, Arkansas Tech also serves veterans and military personnel through its Veterans Services Office. The institution has five undergraduate schools as well as the graduate departments, plus the online school. 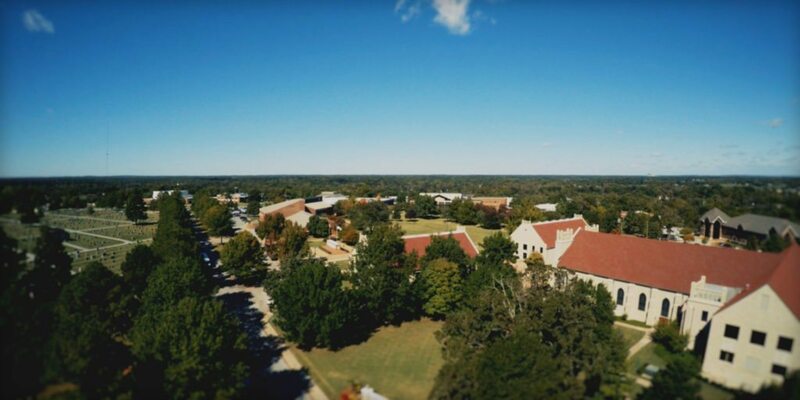 Arkansas Tech University online meets the same high standards as the main campus when it comes to rigorous academics paired with real-world working opportunities. Students can enroll in fully online programs from the associates to graduate levels. The online school is purposely set up to make earning a degree online a reality for individuals who may be unable to attend school on campus due to other restraints such as job or family commitments. Ecclesia College is a four-year Christian college and is committed to enriching not only the academic lives of their students, but also the spiritual. They take a unique approach to learning by employing faculty that combine academic learning and career and job training with spiritual and Christian leadership. The college is accredited to provide both graduate and undergraduate degrees, and has an online school. Ecclesia College online carries the values from college classrooms to the virtual platform, integrating spiritual learning with traditional academics. Students can choose from over ten fully online degree programs from the associate to graduate levels. Some offerings include undergraduate degrees in Biblical Studies or Political Science, and a Master degree in Christian Leadership. Arkansas State University at Beebe is a part of the Arkansas State University system, but a separate two-year institution with four locations beyond Beebe, including the online school. The school primarily awards associate degrees, certifications, industry credentials, and offers workforce training programs. Additionally, ASU at Beebe works closely with the Arkansas State system to prepare students for transfer to a four-year institution after completing their core curricula. Arkansas State University at Beebe online offers associate degrees and classes fully online for Arkansas residents and students from across the nation. Some fully online programs include associate degrees in Liberal Arts, Business, Criminal Justice, and General Studies. The online school is perfect for students who want to fast track their education to stay on course with their career goals, or for individuals already living fast-paced lives with work, family, or other commitments. Founded in 1919, John Brown University is a private, non-denominational Christian institution serving students from all religious backgrounds while still offering rigorous academics with spiritual foundations. The school additionally aims to prepare all students for successful lives in the workforce as innovators, leaders, and professionals. John Brown is accredited to award undergraduate and graduate degrees in diverse areas such as Engineering, Business, and the Arts and Sciences. John Brown University online carries the same spiritual foundations from the campus to the virtual classroom in a more affordable and flexible environment, serving both traditional colleges students and busy working professionals. Each student is awarded one-on-one advisement and has access to student services like the library and career advisement while enrolled online. Some fully online programs offered include bachelor degrees in Business Administration, Psychology, and Management Accounting. 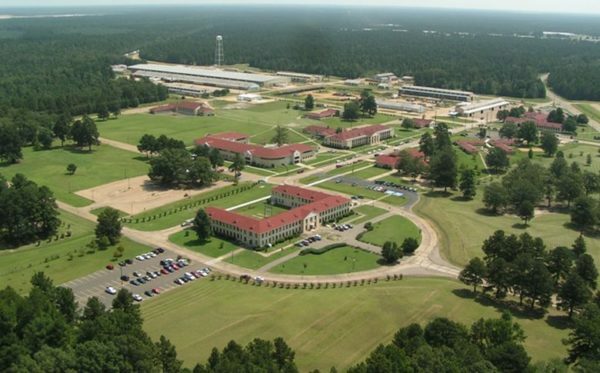 Southern Arkansas University Tech was founded in 1968 and is located in East Camden, Arkansas. The two-year tech school enrolls a little under two thousand students a year who all receive the best when it comes to associates education and one-on-one teacher, student attention. SAU Tech emphasizes Technical Education while also preparing students for success in their careers following college, or for transition into a four-year institution where they can go on to continue their education. 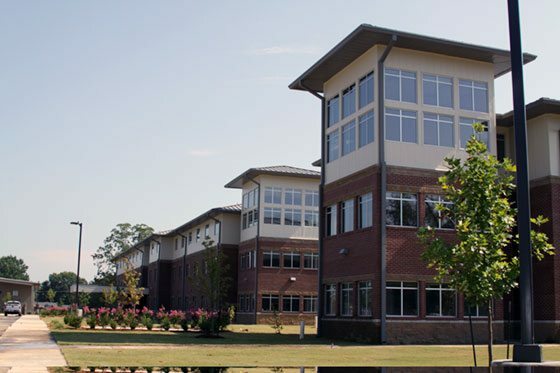 The online school at Southern Arkansas University Tech offers both fully and partially online degree programs, plus certifications and job-training opportunities. Students benefit from 24/7 access to course materials and flexible scheduling so they can simultaneously focus on out of school commitments like work and family. Some unique fully online degrees offered are in Environmental Management, Fire Science Management and Emergency Response, and Teacher Education.